Back when Adam Carolla was still on the radio here in Los Angeles, I used to occasionally listen to his morning show while I was out jogging. (My love of morning-drive radio has remained remarkably consistent over the decades, I blame Dean & Don’s Breakfast Club for this). Conveniently placed at the end of side one of Led Zeppelin II so it could be easily skipped by high-school boys who didn’t want to deal with the overt sentimentality and acoustic guitars — god forbid this song somehow blasted from your car in a parking lot! 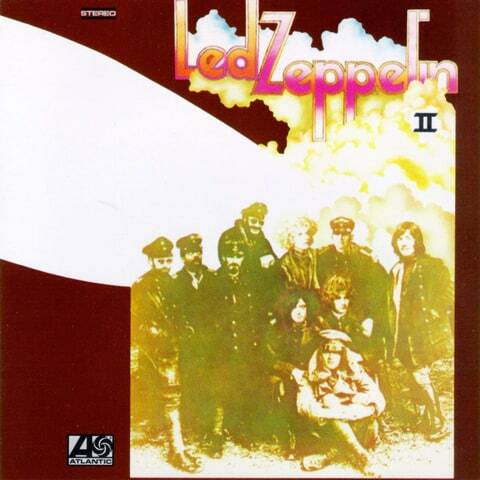 — “Thank You” is probably the first place where Led Zeppelin truly showed their mastery of non-heavy songs as well. All of these years later, it’s clearly the first power ballad, fully embracing all of the tropes acoustic guitars, lovelorn lyrics, extra instrumentation, shifts from quiet to loud — that have made power ballads the objects of equal parts of love and loathing. 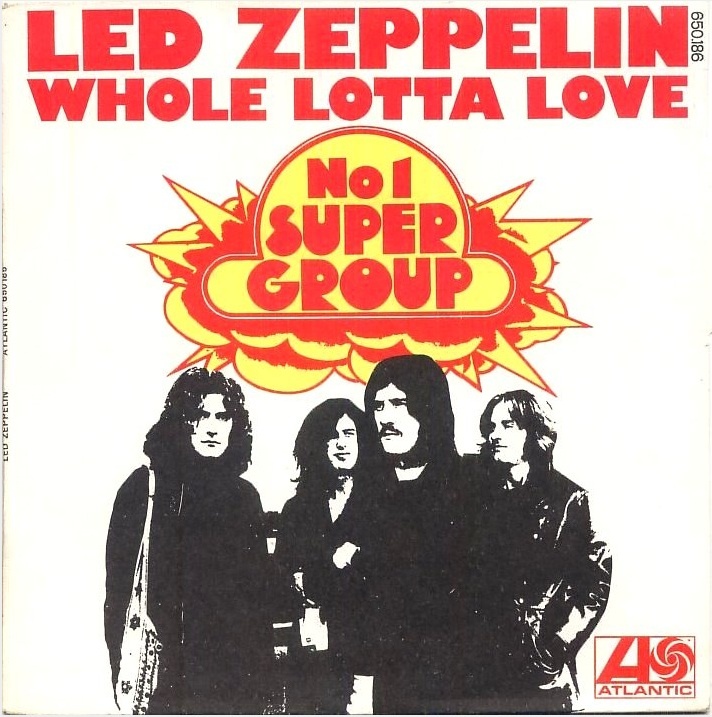 Opening with one of the most pile-driving riffs anybody had ever heard, the hairy-chested huge-dicked “Whole Lotta Love” signaled that Led Zeppelin was going to get even more audacious on their second album in 1969. It also signaled that Jimmy Page was more that just a guy who knew how to layer guitars; turns out he was also one helluva producer, as well. 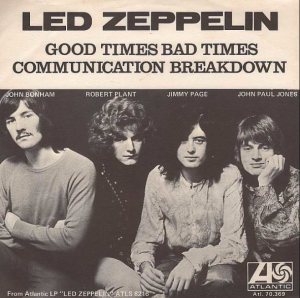 Rocketing out of the final notes of “Black Mountain Side” like a pissed off laser beam, “Communication Breakdown” was not just a 2:30 shot of finely amplified adrenalin but also an anomaly in Led Zeppelin history: it’s probably the only song where John Bonham couldn’t figure out what to do. 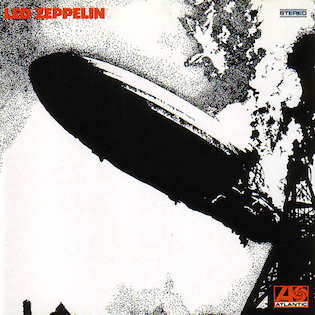 I didn’t even realize it until a couple of years ago, but on the verses, Bonham is playing against the energy of the song. Jimmy Page, Robert Plant & John Paul Jones are all hopping a supersonic rocket ship to the moon, and with every single beat, Bonham is trying to keep it anchored to Earth. It’s a very weird drum part. 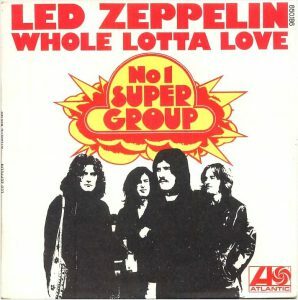 The centerpiece of their debut album, “Dazed and Confused” was probably first track track where Led Zeppelin truly distinguished themselves as a completely unique band. Unlike the pop song, amplified folk song and blues cover that preceded it, “Dazed and Confused” really had no antecedent. Which, I know, is ironic, as Jimmy Page had been performing it in the Yardbirds, and it was also a cover of a dark folk song by a guy name Jake Holmes. But gang, nobody knew any of that in the 1970s. Or at least us teenagers didn’t. You had reference points for “Good Times Bad Times,” “Babe I’m Going to Leave You” and “You Shook Me.” Not so for “Dazed and Confused.” What even was it?